Catalyst is a company that offers a variety of protection for Apple products, and we get a chance to review some of them for you today. 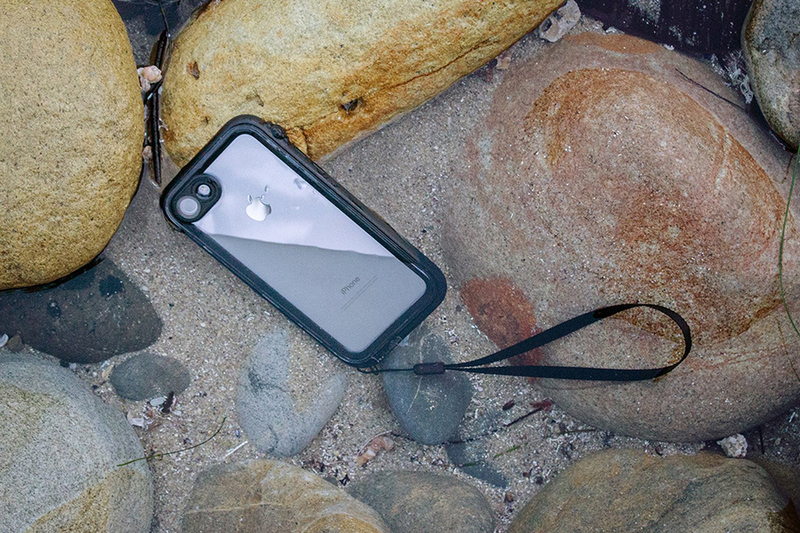 This Catalyst waterproof case for the iPhone 8 (and fits the iPhone 7) is going to offer a lot of protection for your device. Not only is it shock and drop proof tested at an 810G MIL standard for drops up to 6.6 ft., it is waterproof up to 33 feet deep! You can do some serious scuba diving with your phone in this case. They are snow, dirt, and sand proof, and you don’t have to take your case off for wireless charging, either! This case runs for $79.99 on the Catalyst website. 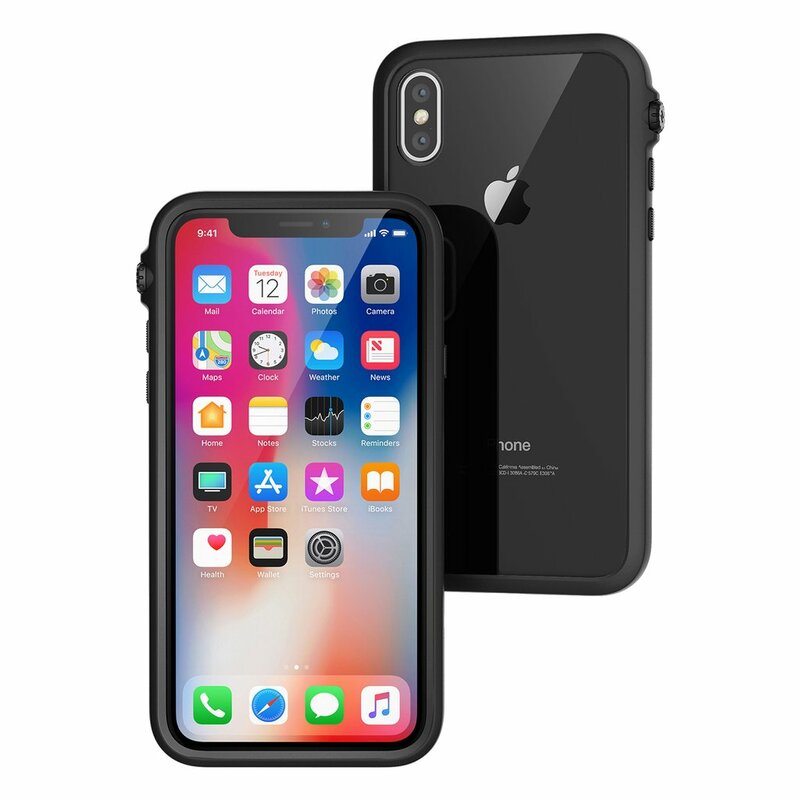 The same case is available for the iPhone X and iPhone 8 Plus (will also fit 7 Plus). They both run for $89.99. 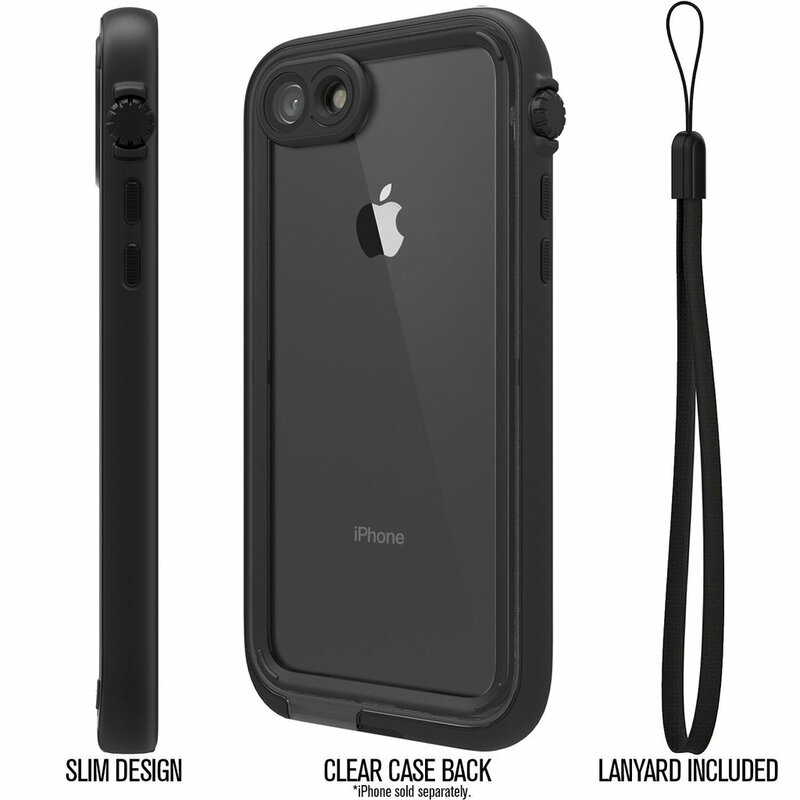 Another product Catalyst sent us to review is the Impact Protection case for the iPhone 8 (fits iPhone 7). This case is not waterproof, but is drop proof tested up to 9.9 ft, so a bit more protection with the Impact Truss System, and also weighs only 29g. As with the above cases, you can charge your phone on a wireless charger, and it also has the rotating mute switch at the top. As with the other cases, this case also comes in various sizes. The price on these are $49.99 for the 8+ and $39.99 for the iPhone X and iPhone 8 version. We were sent the black case to review (only the sides have color, the back is see-through). They do have other colors like blueridge/sunset, army green/black, and coral/black. The Wriststrap is included with this case as well. Moving along to the Apple Watch Waterproof 42mm case for series 3 (but compatible with series 2). 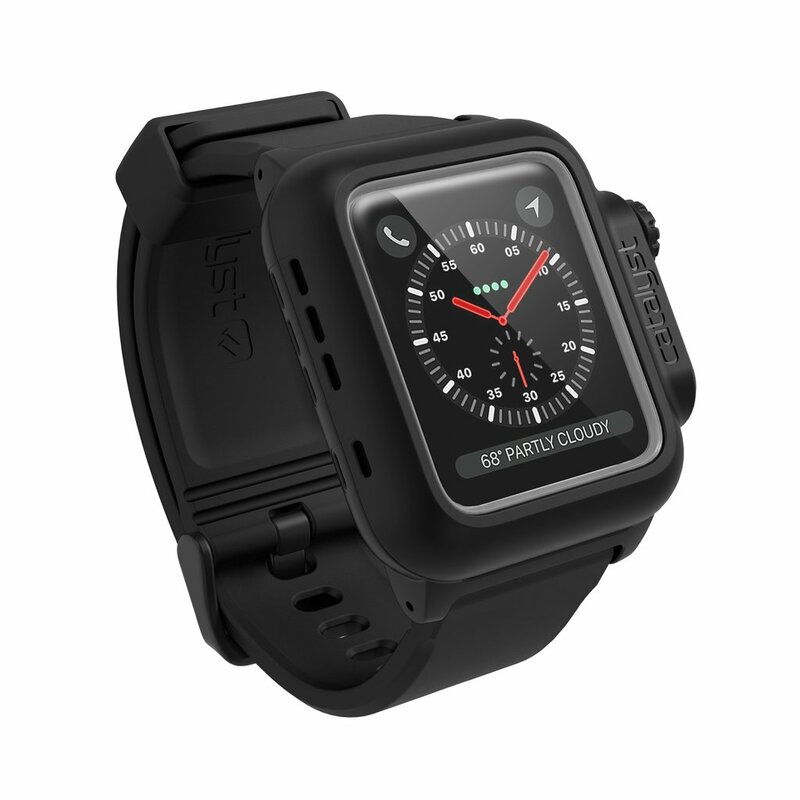 This case will let you go swimming with your Apple Watch with an IP-68, and has been tested to 330 ft. deep. It’s also strong and drop tested from 6.6 ft. This one comes in black only for a price of $69.99. Catalyst has commented that they may look to make it in various colors in the future. Last, but not least, we will include the tempered glass screen protector we were sent to review for the iPhone 8. This fits the iPhone 7 as well, and they offer these in many sizes- including for the Apple Watch. It is scratch and shatter resistant, easy to install, and bubble free. Always make sure to apply carefully after cleaning thoroughly in a dust-free room for $39.99. Thanks to Catalyst for sending us these products in exchange for a fair and unbiased review!